The 2018 Summer Undergraduate Research Program (SURF) concluded August 2 and 3, 2018 with the annual SURF research symposium and the SURF banquet. 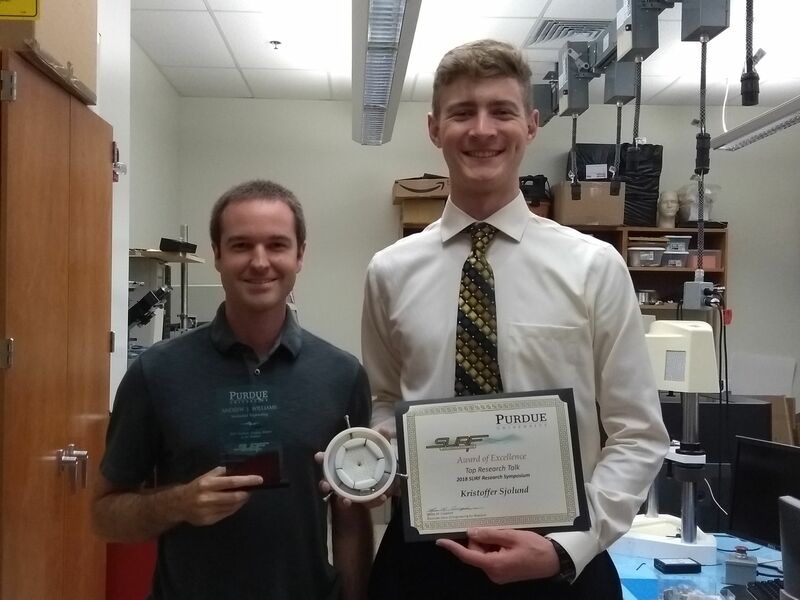 Kristoffer Sjolund (ME undergraduate, junior) was one of five student awardees and was recognized for his presentation "Mechanical Properties of Interlocking Assemblies on a Rhombille Tiling." Andrew Williams (MSME graduate student, SURF advisor) was one of the five recognized graduate student mentors.